Where can I check media usage on my plan? How to view how much media storage your plan is currently using. Each Fulcrum plan comes with a block of available storage for collecting media including photos, audio, signatures, and videos. 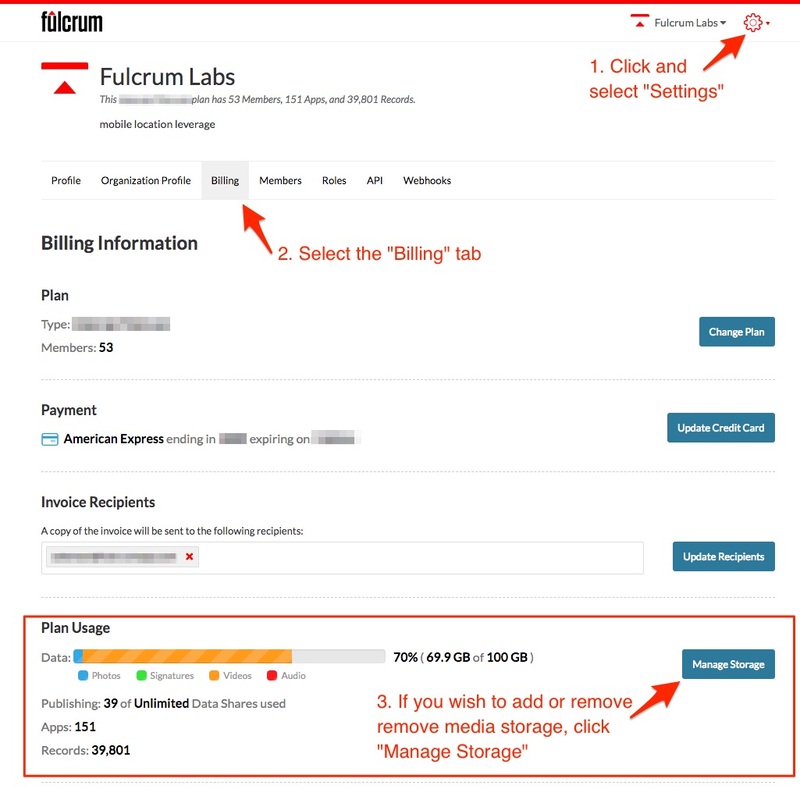 Log into the Fulcrum web app and go to the Settings page. Select the Billing tab. Part way down the page you’ll see a meter showing your current data usage totals. Note: If you hit your storage limit, click Manage Storage to purchase additional storage blocks.